Empirical findings report an acquired mindset of innovative thinking and behavior by students participating in a dual higher education concept which integrates academic studies and workplace training. Work-based learning (WBL) innovation indicators relevant to international commerce degree students are reviewed and an approach presented that can be used to provide rigorous analysis of innovation activity by students participating in WBL. The research method involved a qualitative methodology to formulate a framework for a tentative generic WBL innovation model. Innovation indicators useful to the three-way partnership of employer, university teacher, and student are identified. 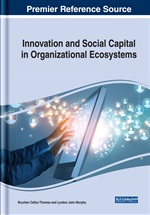 The aim of the chapter is to present a coherent story concerning empirical findings regarding an acquired mindset of innovative thinking and behaviour by undergraduate students participating in a dual higher education concept (Baden-Wurttemberg CSU, 2011), which integrates academic studies and work place training. This concept allows students to maximise their graduate employability. The research reviews current Work Based Learning (WBL) innovation indicators relevant to international commerce degree students and presents an approach that can be used to provide rigorous analysis of innovation activity by students when participating in WBL on internship in a company as part of their course (Thomas et al., 2014). WBL is an emerging field and the study attempts to shed some light on how learning takes place in an academic setting of internship. The extant concepts and research the paper builds on is the work into WBL innovation indicators which shows variability of such indicators due to different models. According to Hills et al. (2003; 2004) WBL encompasses ‘learning outcomes achieved through activities which are based in, or derive from, the context of work or the workplace’. Furthermore, Nixon et al. (2006) describe WBL as ‘learning which accredits or extends the workplace skills and abilities of employees.’ In this context WBL ‘acts as a driver for innovation in the HE system …’, ‘enabling innovation, enterprise and creativity’ and ‘hence, not only is knowledge being transferred to, and from, the workplace but students are creating new knowledge through reflection and practice, innovation and creativity’ (Nixon et al, 2006). This study initially explores the Workplace learning interrelationships model of Nixon et al (2006) which considers the three-way partnership between student, employer and university. This model takes into account plans involved including the student’s learning plan (personal and career aspirations, skills and knowledge), the employer’s business plan (productivity, innovation and workforce development) and the university as the education provider’s corporate plan (marketing, recruitment, access, curriculum offer, research and innovation) (Nixon et al., 2006). Innovation plays an important role in the WBL process not only for the employer who is concerned with innovation at a process, product or service level but also the university with regard to research and innovation in relation to knowledge and the student (Rhodes & Shiel, 2007) in terms of being involved in real life innovative workplace developments. Patterson et al. (2009) have enunciated a model concerning employee characteristics and behaviours towards innovative working and these include a number of factors (openness to ideas, problem solving, motivation/personal initiative, strategic thinking, leadership and management skills, self-belief/confidence, willingness to take risks, emotional intelligence and tolerance to ambiguity). This study compares and contrasts these models with the model used for assessing International Commerce degree students in Germany (students are assessed according to key skills including problem solving and decision making, numeracy and quantitative skills, communication and information technology, self-management, learning to learn, self-awareness and application of research skills to business and management issues). Their personal and vocational development is assessed through self-reflection which illustrates innovative approaches and behaviour to solving problems. These innovative traits have also been assessed through viva voce which has provided evidence of the idea for their project, how the problem was investigated and how they transferred knowledge from university studies, what innovative solution was provided in terms of recommendations, how the company implemented their ideas and how this related to their personal and vocational development. Innovation Indicators: Explicit measures of innovation activities involving measurable outputs. Internship: Period of work placement in an organization to gain work experience or a qualification. Work-Based Learning (WBL): Education strategy providing students with work experience by applying technical and academic skills to develop employability. Workplace Skills: Basic skills to succeed in the workplace including core knowledge and attitudes that allow workers to solve problems, understand instructions, and relate to others. Key Skills: Employability skills needed for the world of work including procedural, technological, interpersonal, knowledge-based, and entrepreneurial skills. Innovative Thinking: Thinking that is imaginative, creative and different involving the ability to look beyond the obvious. Innovation: The introduction of a new idea, method, or device.